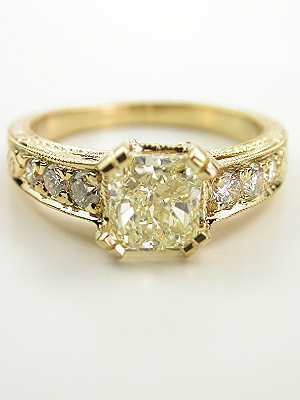 A classic mounting creates the perfect setting for a GIA certified 1.14 carat radiant cut diamond in this vintage style engagement ring. 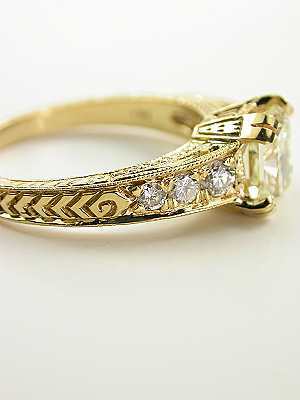 Hand engraving, mile grain trim, and beautiful detailing on the under-bezel add the finishing touches to vintage style engagement rings like this one. 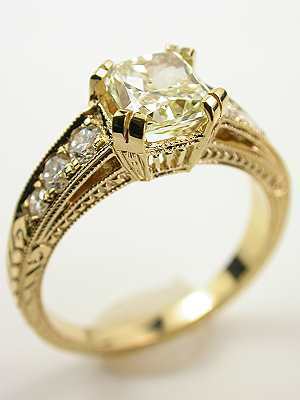 A 1.14 carat GIA certified yellow radiant cut diamond appears to float in a sea of glorious gold. 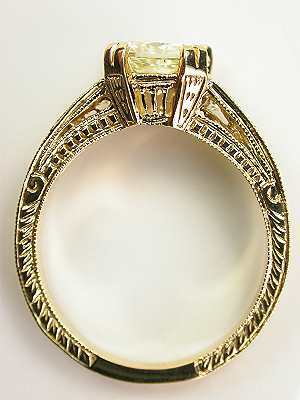 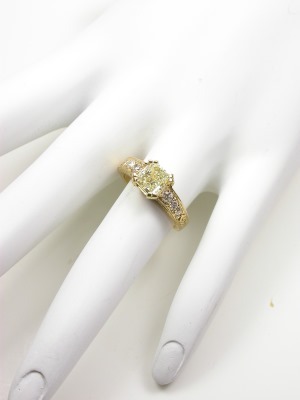 The Edwardian influence is evident in the design of this romantic ring. 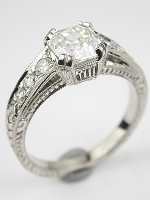 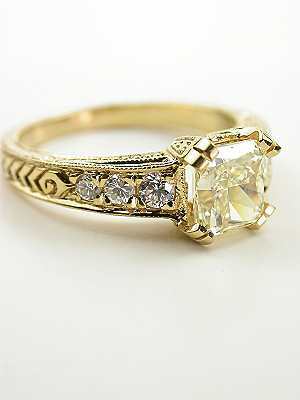 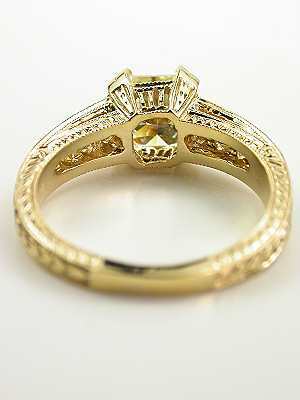 This (new) vintage style engagement ring is from the Topazery Dragonfly Collection.